All the talk surrounding Gold Butte the last few weeks has been about its recent designation as National Monument. 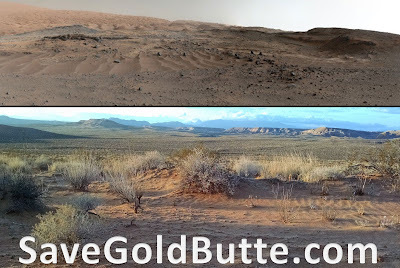 I would like to say, the controversial designation of Gold Butte, but depending on what circles you run in you may have different feelings on whether it is controversial or commendable. 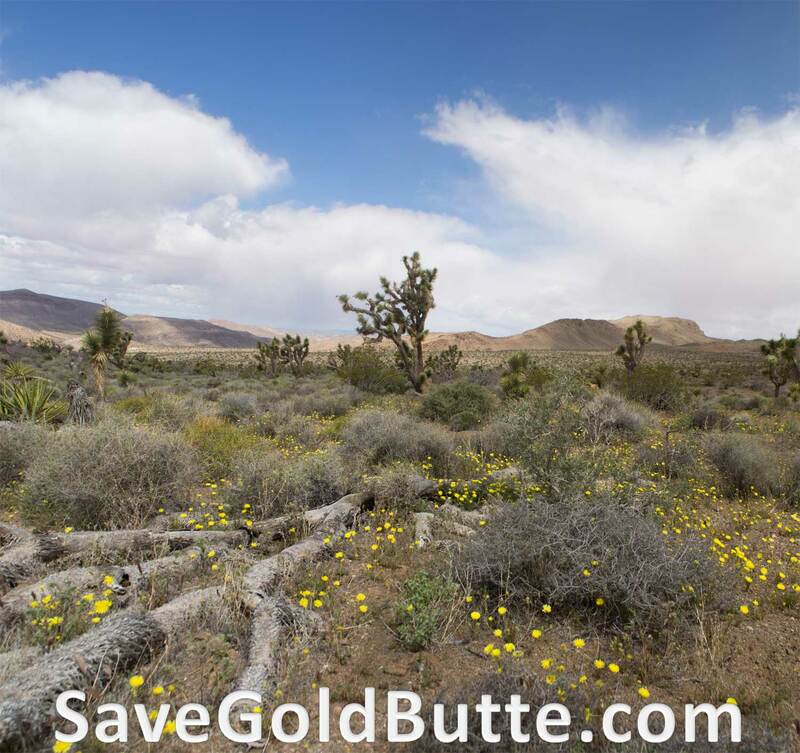 As far as mainstream media reports, you would think that Nevada is unarguably in support of this change in name for Gold Butte. 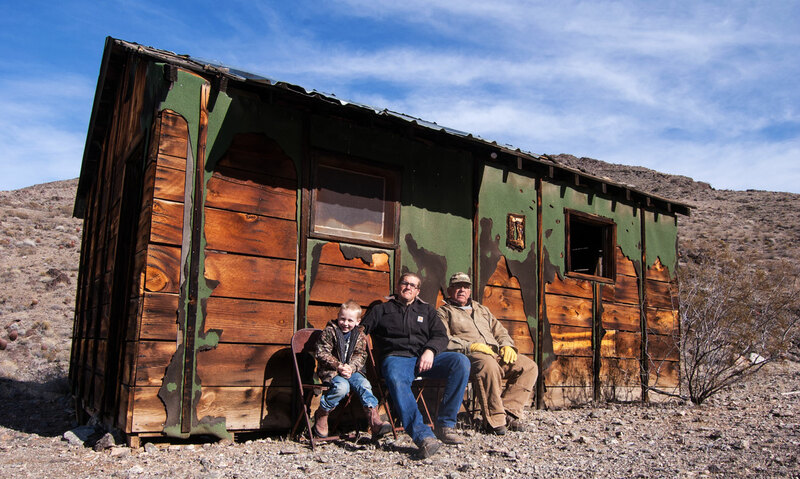 However if you get off the main drag and travel the rural routes, you will find that the opinions of Nevadans are a little more colorful than the whitewashed media may portray. As often is the case, the feelings toward the Monument designations start to change as you approach the city skirts, where urban sprawl starts to fade into the rural roads leading to small town America. 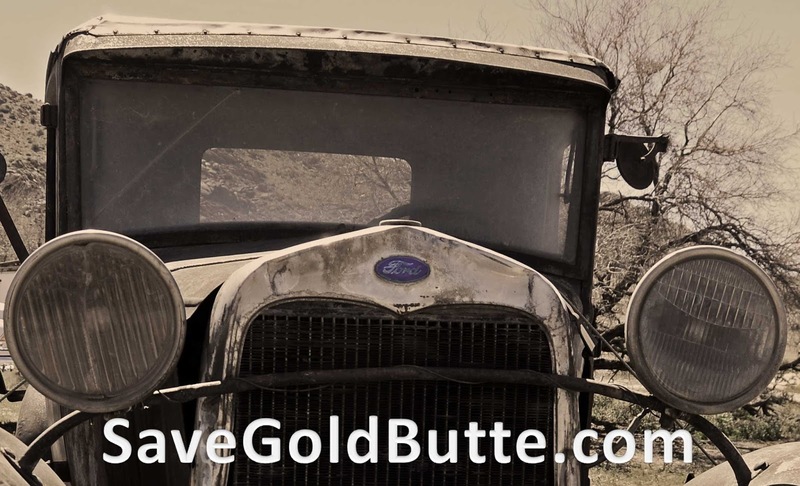 I am one of those from small town America who resent and openly oppose Gold Butte being appropriated as a national monument. National Monuments by design are created to protect historic and prehistoric sites within the lands administered by the Federal Government. The original intent of the Antiquities Act was to protect Native American sites and artifacts. The powers granted to the President of the United States by which a National Monument designation can be created is given through the 1906 Antiquities Act. With an understanding of the intent of a National Monument designation I will try and explain one of my biggest concerns about this designation in my backyard. Gold Butte is an expansive and diverse landscape delineated by two rivers that mark its boundaries. It is the rugged country between the confluence of the Colorado and Virgin rivers. A wide array of people throughout time have made their mark upon the rugged landscape as they traversed across the natural crossroads in the desert known as Gold Butte. By designating Gold Butte as a Monument it is intentionally prioritizing cultures and history by what today’s values dictate while minimizing others. 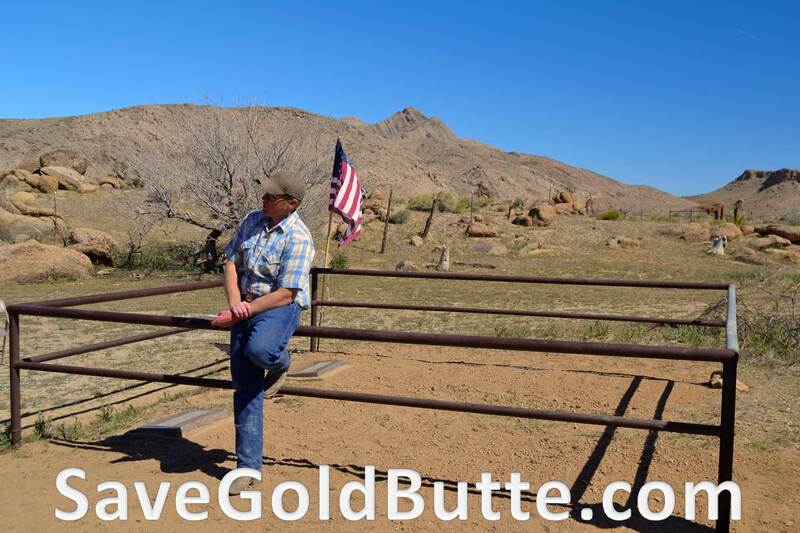 By administering Gold Butte as a National Monument the history of many of these cultures will slowly be erased and forgotten by the federal land managers as they focus their resources on making a monument based on a single narrative. There are amazing Native American sites found within Gold Butte however there are also sites that represent other cultures that have traversed the landscape that are just as valued to people that want access to public lands and the history they identify with. The history of our country is tormented by the narrative of the federal government mismanaging the priorities of the masses at the sacrifice of the minority. 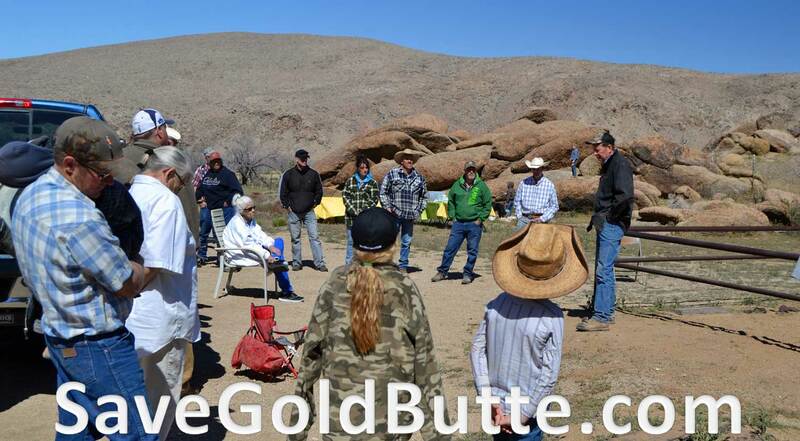 I agree that it is critical that we protect the Native American sites found within Gold Butte but I also know it is critical to protect, with the same significance, the Pioneer Sites, the Mining Sites, the corrals, the water tanks, the springs, the access to the roads and the camping spots. 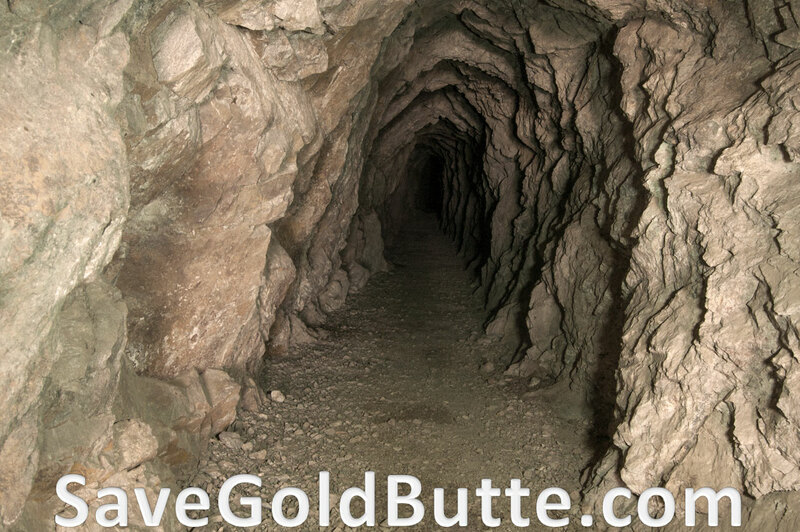 The allure of what makes Gold Butte interesting is the diversity and the access to explore so many facets of history and geology intertwined upon one accessible landscape. This will be lost over time as the federal government imposes their storyline upon the landscape. I have had many people ask me what I think will happen, if I think we need to hurry and go out there before it all gets closed off. My answer is no, I don’t think that anything will change in the first little bit. 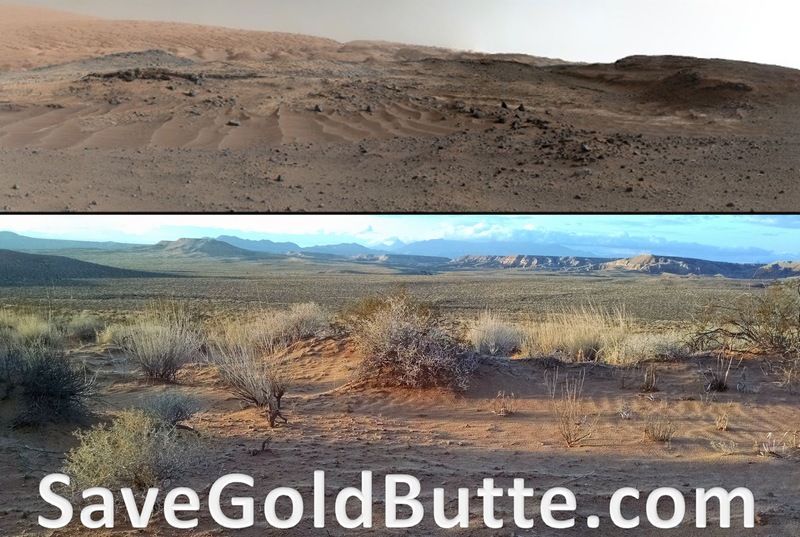 For the first few years I project that the look and feel of Gold Butte will remain the same. 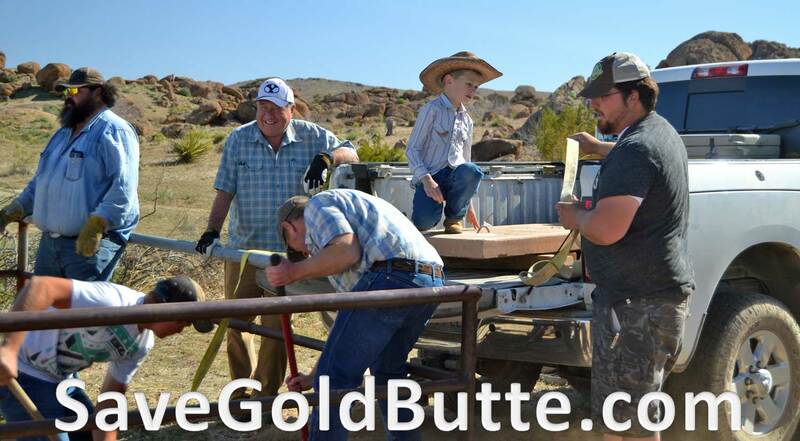 It will be in five years after the management plan has been created and administered, as new management comes in and slowly starts to change the feel of what Gold Butte is to what they think it should be. Roads will slowly start to close, camp spots will start to be restricted, family reunions will be curtailed, scout trips will become discouraged and church functions will be turned down. 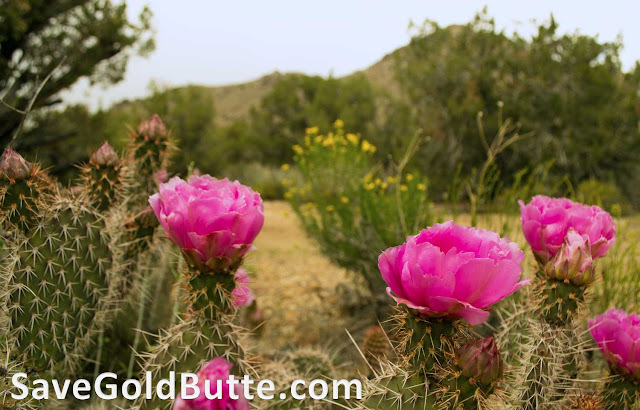 It will be a slow transition for the local communities who have traditionally enjoyed the access of the great outdoors of Gold Butte to deteriorate into yet another restricted federal theme park to be observed through their point of view. 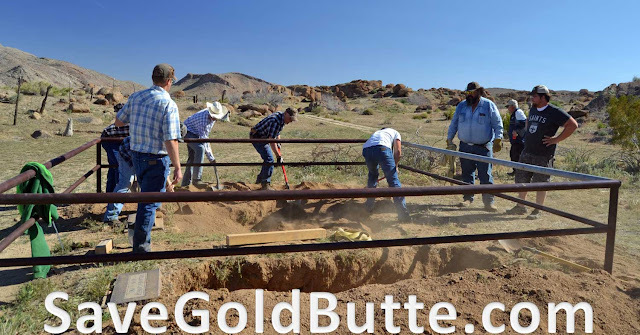 The history of cattle ranching will slowly be lost. The history of the early miners who laid the ground work for today’s society that we take for granted will be maligned. 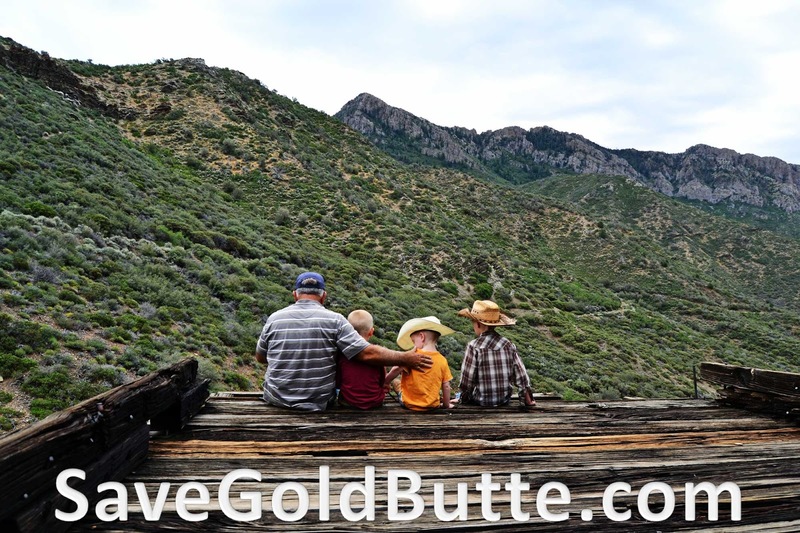 The opportunity to camp, four-wheel, picnic and enjoy a day trip with your family will be confined to the fancy of the BLM. For the masses this won’t be an issue. For the one time visitor who saw a Facebook post from their favorite Wilderness advocacy group and thought it would be a fun visit, they will never know the difference. It is the local communities who pay the price. It is the families that have historic connection to the landscape. It is the scout troops who could have camped and explored. It is the church groups who use to be able to do youth had cart trip but now can’t bear the cost. It is the people who love and know the landscape the best, who love it the most, who appreciate it for what it truly is, who pay the price for generations. It is society at large who lose out on the opportunity to experience hands on history which once is lost, is lost forever. I love the out of doors, I am an advocate of conservation, I am a lover of history, I want to see the wild places preserved for future generations however there is a right way to carry that out and there is a wrong way. Closing off access to places that have been accessible before is not conservation. To over emphasize one culture while downplaying the other is not beneficial to anyone and will do irreparable damage to both the physically and cultural landscape. The current course of conservation which consists of putting up fences and restricting access is a nonsense agenda peddled by people who don’t understand the human connection with the landscape. I want to see public lands preserved for my children and grandchildren. A national Monument designation is not the best path to ensure Gold Butte is preserved for my grandchildren. It may be a longshot but I am going to reach out to my local town board and my county commissioner to call for a repeal of the designation. I am going to ask my state assemblymen and senators to show their opposition to this unilateral designation. I will try and make contact with my congressman and senators to look for ways to repeal this executive order which bypassed the public process. If this was the right thing to do then it should have flown through congress by the proper processes and procedures already set in place to preserve public lands. If executive action is the right way to manage lands then why do we have an agency specifically created to manage our public lands? The reason is because this is not the right way to manage public lands. This is not the best way to preserve our history. There is a group of like-minded people who are working to find ways to fight against this designation if you are interested please reach out and let me know. 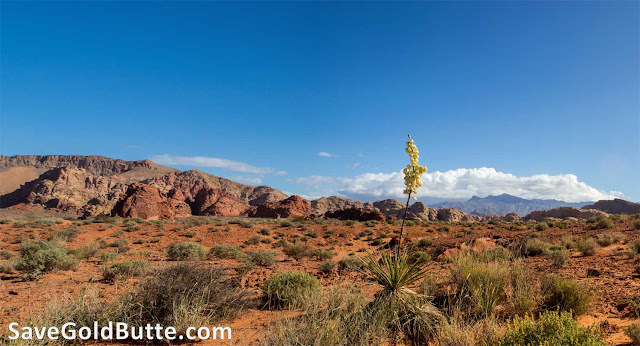 Ø The monument encompasses 296,937 acres of land currently administered by the federal government in southern Nevada. 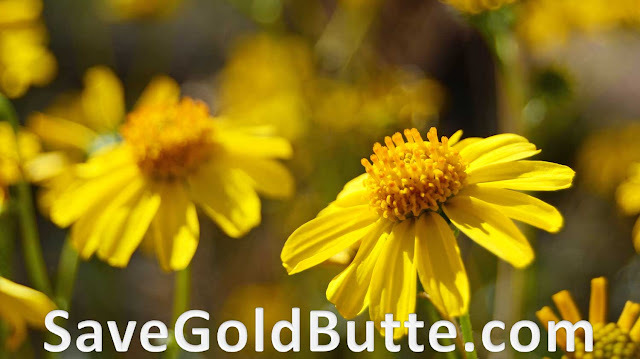 Ø The establishment of the monument is supposed to be subject to valid existing rights, including valid existing water rights. Ø If the Federal Government subsequently acquires any lands or interests in lands not owned or controlled by the Federal Government within the boundaries described on the accompanying map (attached), those lands are supposed to be administratively added to the monument. 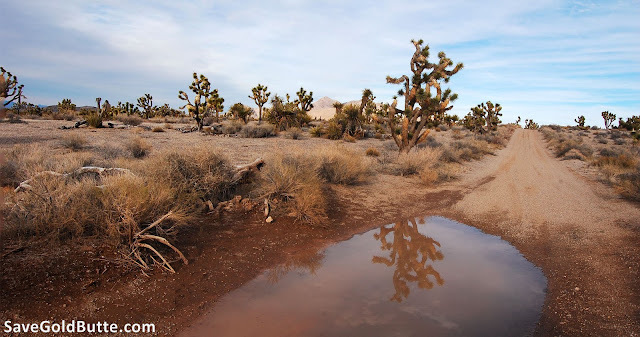 Ø The Department of the Interior will establish a management plan for the monument, and it is supposed to establish a local advisory committee to provide information and advice regarding development of the land use plan and management of the monument. 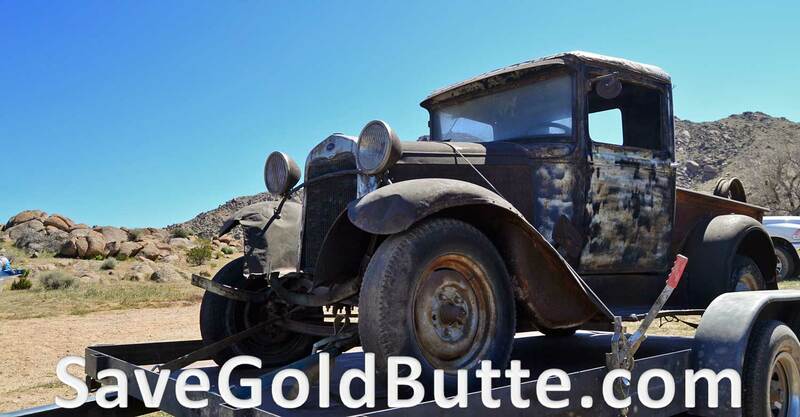 Ø Motorized vehicle use in the monument will only be permitted on roads designated as open to such use as of today. Ø The monument is not supposed to interfere or preclude with the operation, maintenance, replacement, modification, or upgrade within the physical authorization boundary of existing flood control, pipeline, and telecommunications facilities, or other water infrastructure, including wildlife water catchments or water district facilities, that are located within the monument. But, no new right-of-ways will be issued within the monument unless it’s for these activities and that is at the discretion of the Department (meaning they could still deny it). Ø No grazing in the monument. 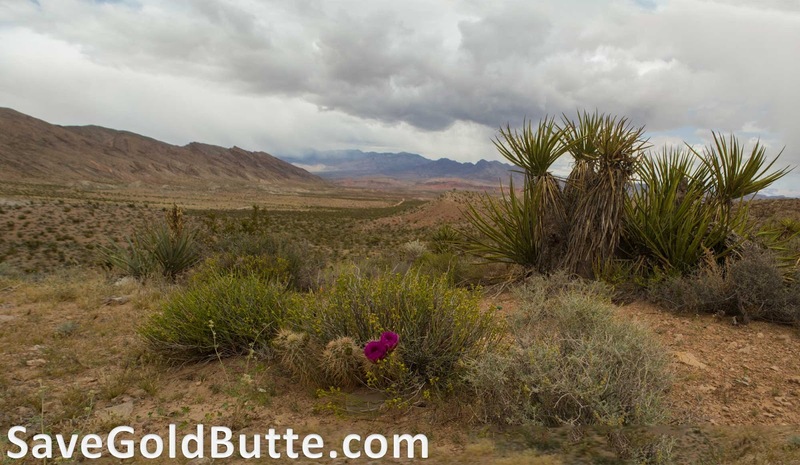 Located in Clark County, Nevada just northeast of the outskirts of Las Vegas, the Gold Butte National Monument spans nearly 300,000 acres and will protect significant cultural resources, important geological formations, and vital plant and wildlife habitat. The monument will provide critical protections for important Native American historical sites, as well as areas that are currently used for traditional purposes by tribes. Notably, the area includes abundant rock art, archeological artifacts, and rare fossils, including recently discovered dinosaur tracks dating back hundreds of millions of years. In recent years these resources have faced increasing damage from threats such as deliberate destruction and vandalism, and today’s designation will help ensure that these cultural and archaeological treasures are better protected. 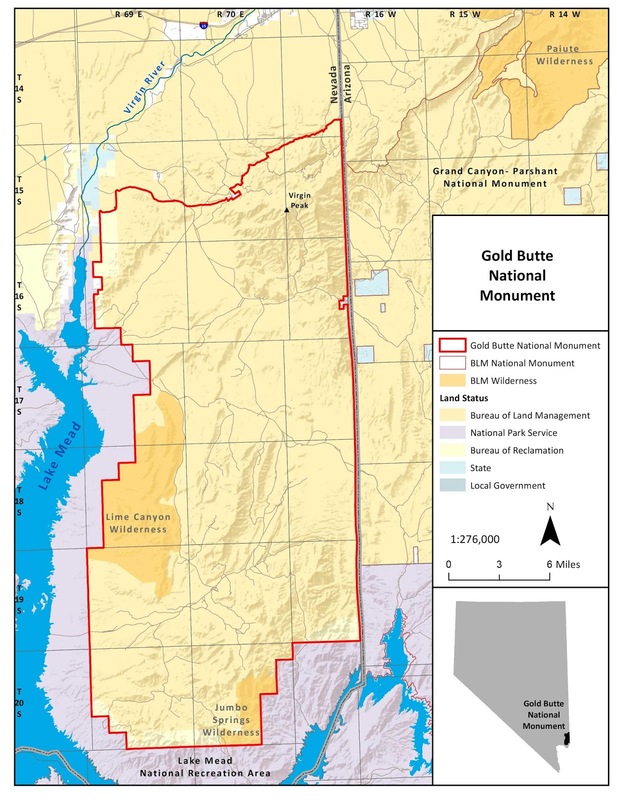 The monument will serve as an important connection between already protected lands, including Lake Mead Recreation Area and the Grand Canyon-Parashant National Monument across the Arizona border, protecting key wildlife corridors for large mammals such as desert bighorn sheep and mountain lions, and vital habitat for the threatened Mojave desert tortoise. Additionally, the monument will protect important historic resources. Structures that detail western ranching heritage can still be found in the Gold Butte area, as well as an early twentiethcentury abandoned mining town and sites associated with Spanish explorers from the late eighteenth century. Today’s action follows decades of local support from tribes, local stakeholders and conservationists, and draws from legislation that was first introduced in 2008. 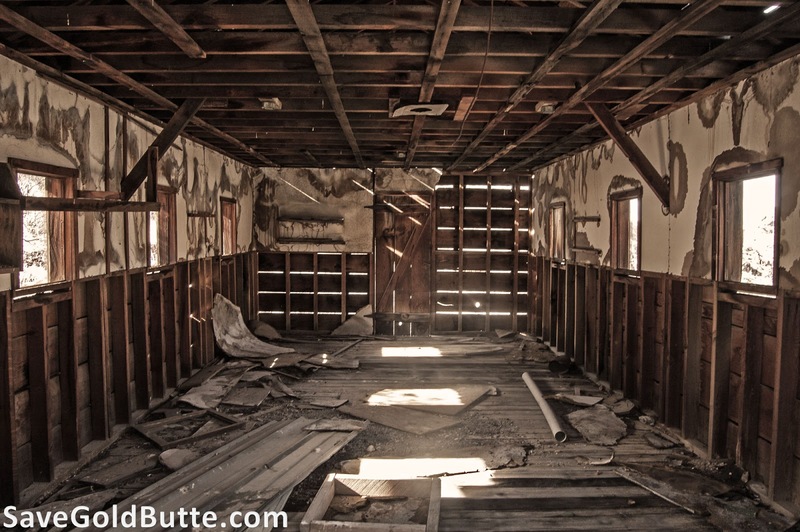 Vandalism is a problem for all public lands. Experience has shown that it doesn’t matter it if is the most highly managed piece of ground or a beautiful back country byway far from civilization, stupid people are everywhere. For example in 2010 there was a highly publicized act of vandalism at the Red Rock National Conservation Area (NCA). I wrote about this in an article titled Learning the Hard Way (http://www.savegoldbutte.com/2010/12/learning-hard-way.html) . 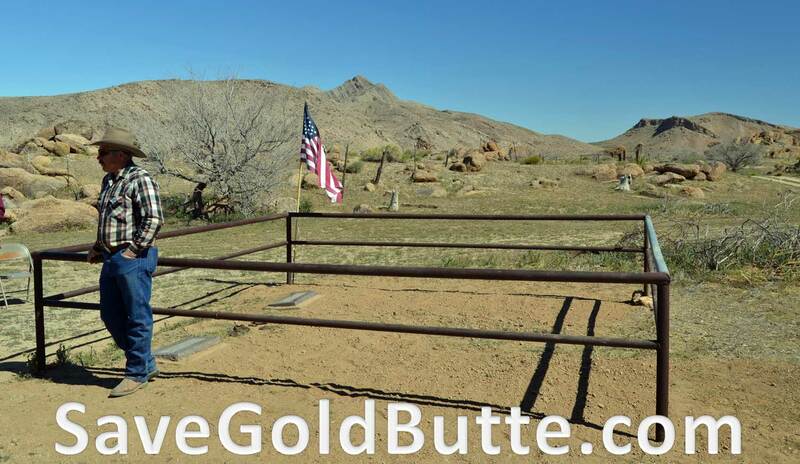 Gold Butte is not immune from vandalism either with the most highly publicized incident with the digging up of Art Coleman’s grave in 2014. These two BLM managed areas of public land are at near opposite ends of the management perspective yet they both experience vandalism. The Red Rock NCA is the most visited BLM managed land in Southern Nevada with visitor counts over 800,000 per year since 2008. The Red Rock NCA is also the most highly managed BLM administered land receiving the most dollar per acre expenditures for protection. Despite all the protections, rangers and money spent on protection, vandalism still occurs in the Red Rock NCA. Gold Butte sees a small fraction of the visitation that the Red Rock NCA does, as well as a fraction of the spending on this BLM designated Area of Critical Environmental Concern. I speculate that if you could reduce the numbers down to the lowest common denominator, the number of people visiting and the dollars spent per acre in relation to the number of vandalism events, the numbers would be proportional in comparison. It may seem logical that the more we spend the more we can protect. I don’t disagree that more money for public lands management wouldn’t be beneficial however, the difficulty is in the details of the dollars and how they are spent. Money alone is devoid of moral responsibility. Without a strong sense of moral obligation to our history and a value alignment between the managing agencies and the local communities, any additional money would be apathy at its best. The issue is not the amount of money being thrown at the problem; the issue is the course that public lands management is being directed in overall. So where does the course correction start? If we truly want to curb incidents of vandalism towards cultural sites in our public lands then we need to start in our local communities first. If local communities have a strong connection to the land then they will take ownership and responsibility for ensuring its conservation. For instance if local boy scout troops are encouraged to camp and enjoy local public lands, those boys will grow up with fond memories of the area and want to see it well-looked-after. These troops as well as other service oriented organizations could also potentially become a resource for future volunteer based projects in the area. Having our future leaders invested in the multiple use landscape from an early age would be our best safeguard for public lands. Another way to help promote local involvement is to get more school field trips funded to visit local public lands. The rising generation needs to see and experience the geologic curiosities and cultural sites within their local area. I remember as an elementary student loading up in a big yellow bus and traveling out to Valley of Fire. One of our stops was the petroglyphs at Atlatle Rock. I still remember to this day walking up the long stair case to gaze into the etchings on the bright red sandstone and thinking how cool they were. I didn’t need to read from a text book why it was important to preserve these ancient drawings because I felt a personal connection with them at a young age surrounded by my peers. We need more young people could connect to public lands on an individual level and learn from seeing and experiencing history, local culture and geology. More could be accomplished with one trip of the importance of protecting cultural sites than ever could in a classroom or by threat of fines. Getting the local community involved in public lands management really is not an insurmountable barrier to overcome however the task is a shared responsibility. The federal agencies involved that manage these public lands and their policies have to create an environment that encourages and even allows this type of relationship. This is an area where the federal government is failing horribly and quickening their pace at doing so. 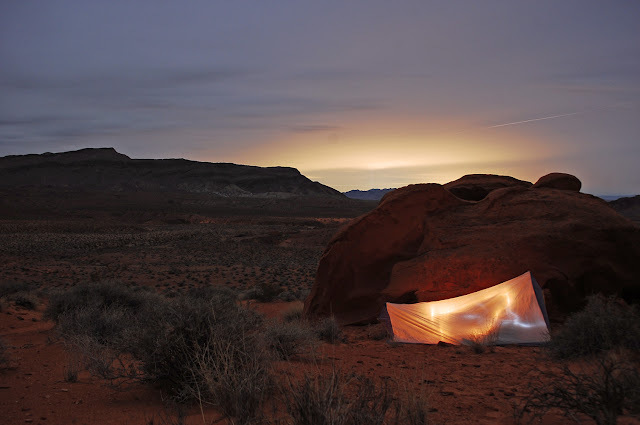 For example as a young scout we use to have many camporees and overnighters in the Virgin Mountain area including White Rock and Whitney Pockets. Less than two decades later after receiving my Eagle Scout and now being involved with scouting we cannot have these same types of activities within the parameters set by the BLM. 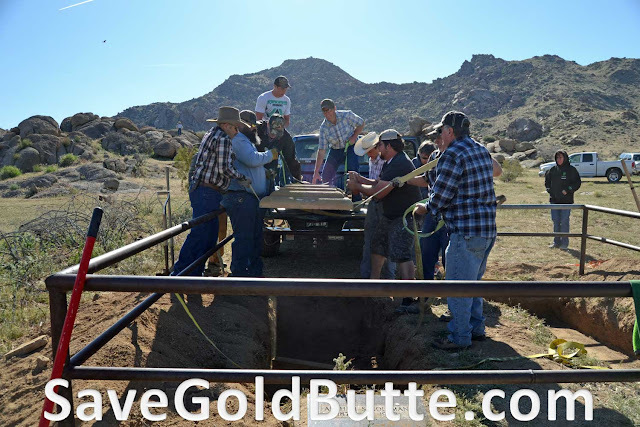 Another example is when the Virgin Valley Stake wanted to do a youth Pioneer handcart trek where part of the route crossed over the Gold Butte ACEC but couldn’t due failed policy and inadequate bureaucracy which deters instead of encourages local connections to history and public lands. Many of the youth who would have been involved with the trek had pioneer ancestors who did cross this land in a wagon to help settle this land. Another example is when we put on the ST. Thomas celebration to commemorate our local heritage and the Park Service stymied the permit process and blatantly downplayed our community’s connection to ST Thomas. There are many more local examples from just the Southern Nevada region and this is certainly not a regional issue. This is failed federal administration in action. The trust of the local communities in the federal government’s ability to manage our public lands is eroding at an ever quickening pace. The feds are responding by cutting out the need to call on the communities input on their policies and the sidestepping communities with the implementation of those policies. 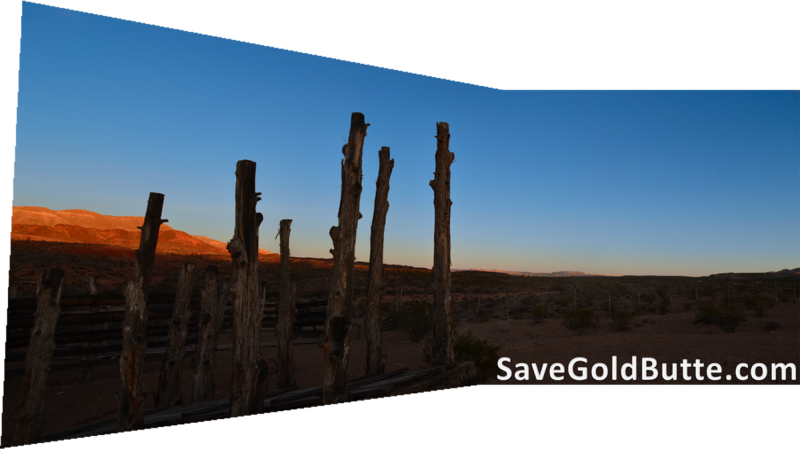 It is this ever eroding chasm that will be the downfall of the diversity found within our public lands across the west. The more the feds work to circumvent local communities and culture the harder time they will have at maintaining public lands. Local land managing agencies need to be more attentive to local community values and align their managing practices to encompass and protect the values that are important to the local communities. It is true that the public lands were created to be enjoyed by all who want to share in their beauty but that does not mean that narrow special interest groups should be given the same credence as those who chose to live, work and play locally and strive be involved in public lands management on a daily basis. If we want vandalism to stop, if we want the next generations to appreciate the cultures and the relics left behind upon the landscape then it is up to all parties involved to work together to protect all aspects of our public lands. Public lands management is most successful when starting from the local office and reporting progress on up, not top down mandates with one size fits all policy directives from a political appointee burdened with cost of what it takes to get to the top. March 26th 2016 we celebrated the history of Gold Butte focusing on the most notable characters Arthur Coleman and William Garret. We came together to rebury Art after some miscreant disturbed the final resting place of this early prospector. We did our best to right this wrong and reburied Art’s remains, to rest once again alongside his longtime friend William Garret. The circumstances that brought us together were appalling at best, but like the resilient pioneers who settled this country, we made the best with what we had, and rose to the occasion. The event will be remembered by all those who rattled down the road to headquarters hoping to partake in the history, available to those willing to seek after it. 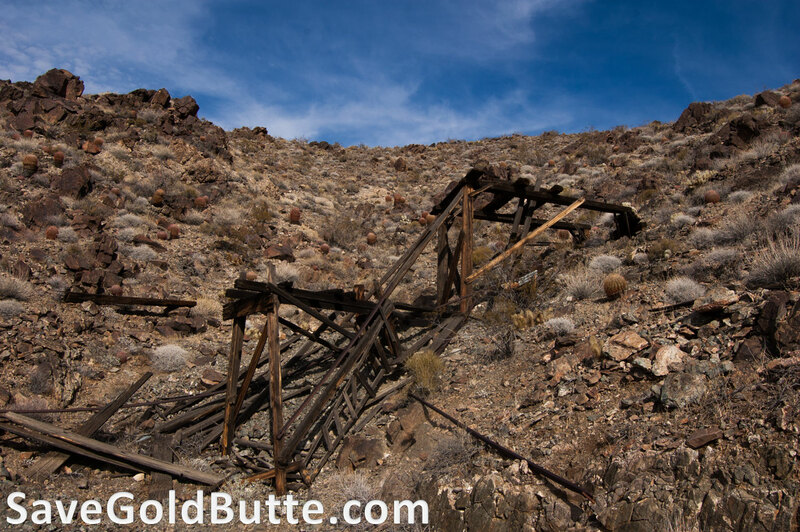 Our history is infused within the desert hills, just a part of the landscape as the Joshua trees and weathered buttes. The well of history was brimming in the desert winds, proffering its narrative to those willing to partake. The reward was a refreshing treat whose succulence could never be recreated. One day those who knew of the way it was, will not be here to share it with those of tomorrow. For the wellspring of history, if not recorded, revisited and remembered will one day dry up. It was in the spirit of remembrance that we gathered and celebrated Art Coleman and Bill Garret. We first reburied Art and reworked the graves in hopes to protect from future marauding intruders. After the graves of both men were cleaned up we held a simple ceremony to rededicate the final resting place. Duane Magoon presided over the service. Gene Houston gave the opening prayer. Myself, Dustin Nelson, gave the eulogy. Lindsey Dalley dedicated that graves. The closing prayer was given by Shem Teerlink. It was a simple affair but seemed fitting for the good ol’ boys for which we gave tribute. After the service we had a pot-luck lunch and gathered to share stories and memories of Art and Bill and of the many who have lived their lives within the backdrop of Gold Butte. For me, eating potato salad while visiting with friends, stirring up stories from the past, in the very place where many of those stories took place, is about as good as it gets. 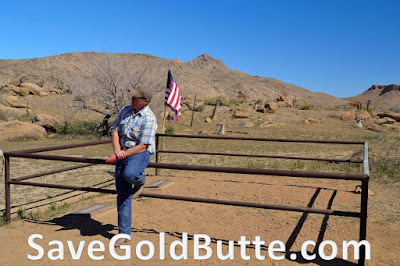 I spent most of my time visiting with Norm Tom who wore quite a little leather off the tree chasin cows alongside many of the cowboys in Gold Butte. He told me stories of Jimmy Hayworth when he worked for Howard Hughes, of my uncle Moose Whitney when he was out here running with my Grandpa Don Whitney and many other cowboys and city folk who thought they were. 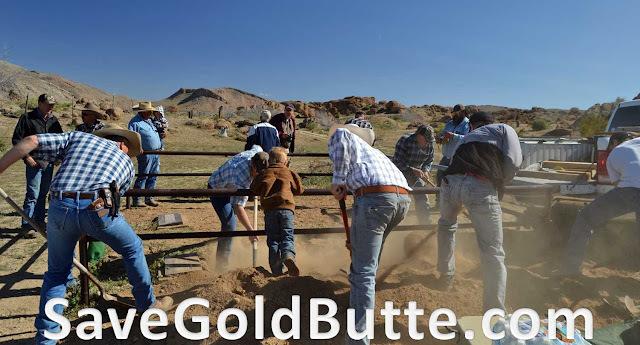 Kicking our boots in the dust of Gold Butte and being able to point to the very washes where Norm remembered working cows and making camp is a memory to….well, write about. 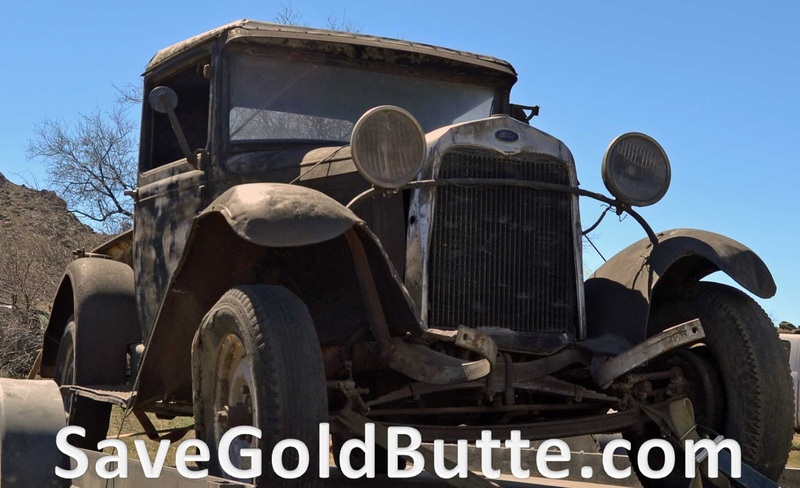 One of the highlights of the day was when the Jacobs family arrived bringing with them Art’s original Model A Ford. The story I got was that Art left the car to the Jacobs family in his will and it has remained in the family ever since. James Jacobs, the son of Slat, towed the car out. He said if he had had a little more time he could have got it running and drove it out. Running or not, it was most excellent to see the old car reunited with this rough and rugged country. 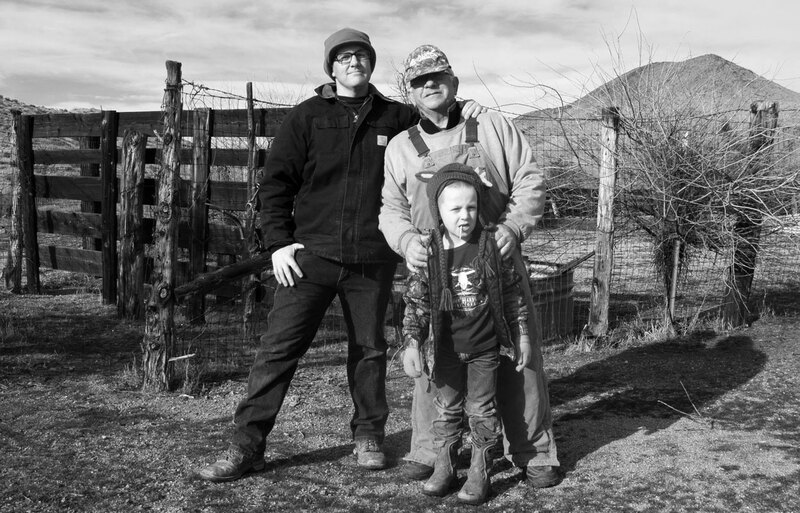 The Jacobs family use to have the ranch just below the Nay’s at the bottom of the mountain on the Arizona Strip side. When all was said and done and folks started to pack up and leave, I speculate they left with more than they came. To the casual passerby, who fails to behold these hills imbued with its historical perspective, the contrast of human and nature can seem a stark contradiction. But for those who understand and appreciate what has transpired within these surroundings, there is an insight which pulls in harmony the contrast of humanity and nature to reveal a more vivid landscape and an accompanying desire to conserve it. It is these community events, where we celebrate our history that ensures our public lands stand resolute. 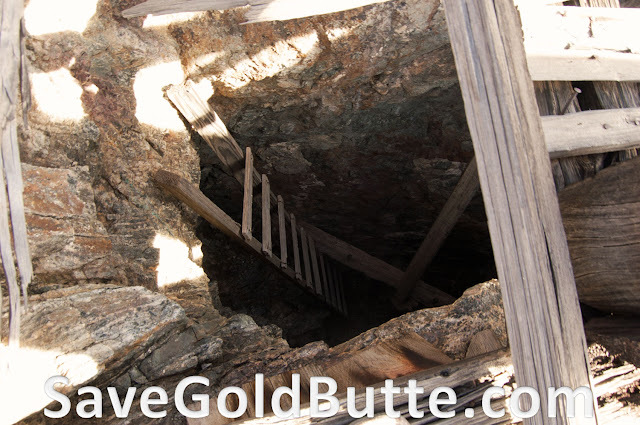 These are a few of the pictures from our LakeView mine trip this last week. I have a fairly lengthy commute to and from work. It was one of the only drawbacks to when I accepted the job. However since I have started that commute I have discovered some most excellent podcasts which now fill every minute of that commute and sometime even more. Most of my stations focus around coding, space, statistics (within the realm of data science), robotics and almost anything science related. With this bit of background my projects list might makes a little more sense. While cruising into work one morning a TED talk came up on my playlist with a guy named David Lang. 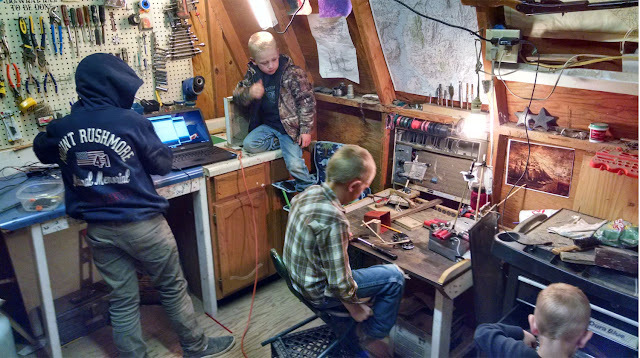 David taught himself how to build a robot and start collecting oceanographic data. How he got started out was a lot like how I am trying to get going, he needed to collect data, didn’t have the money to buy the robot or equipment needed to do it, so he built it. He later went on to create openrov where he sells the kits he came up with for super cheap (comparatively). He got talking about collecting data remotely and using robots to do it and it totally inspired me to get back to my robot projects. That was on the way in to work so I spend a good deal of time pondering what the next step was for my weather station and data collection units and how to make it mobile. Then on the way home I listened to one of my Space focused podcasts. With the recent release of the movie the Martian, which I loved, a lot of my space focused stations spent a few episodes discussing Mars exploration. One in particular had a panel of folks who represented specific areas within science who were interested in space exploration. There was a great discussion on whether we should focus on sending astronauts and scientists to Mars or if we should just keep sending robots. There was a geologist who said something a robot would take weeks to analyze, or possibly could never do, he could do if he were physically in the space in a couple minutes. The roboticist of course was like no way, I could get it done and then the astronaut was like hell no send me up and then the guy from NASA who obviously represented the budget was like well this is all going to cost a lot of money. It was a great discussion and it inspired me to want to get into the space race and robotics. Then these two podcasts came together in my mind and my imagination almost exploded. After these two came together I instantly wanted to build a robot that could roam around and start collecting data. This thought occurred to me right as I was cruising the North Shore Road coming around Lake Mead and I saw the Mormon Mesa and figured that it would be a perfect testing grounds. The Mesa Rover was born. 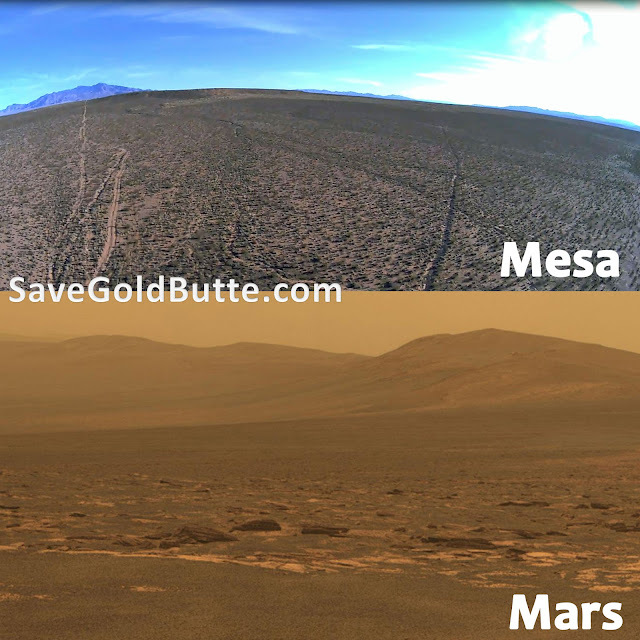 As I started to research the Mars rovers and look at pictures they had taken I was impressed with how similar Mars and the Mormon Mesa looked. The boys and I convened a conference in the shed and it was decided to begin work immediately. So far we have built many protypes but feel like we have found a good design for the tracked robot. We have a pretty good center of gravity so that if it goes back onto the real part of the tracks or above 38 degrees pitch then if you put it in reverse it will go back onto the main part of the tracks. We have also tested out the battery life and it will go .8 miles in 56 minutes on 8 recharable 1.2 volt 1300 MAH AA batteries. There is still a lot of testing to do with adding on the solar panels and recharging the batteries but it’s good to have a base line to run off of. We also have the sensor pretty well dialed in that gives pitch, roll and heading. Today we calibrated the sensor to maintain a heading between 264 and 276 degrees which is a nearly easterly direction which is heading for the road that runs by our house. It took us a little bit to find the right course correction algorithm so as to not spend too much time bouncing back and forth between those headings. Our next step will be to add in the sonar for object \ cliff detection. I will keep update as we make progress on our Mesa Martian Rover. The next project has been in the works for a long time but I finally was able to bring it together after listening to one of my python coding podcasts a couple weeks ago. Ever since I did the fire analysis project in 2014 I have wanted to study the effects of wild fires in the desert. I wanted to better understand how the desert responds after a fire but also possibly identify areas that haven’t yet burned but are most prone to so I could focus research there so if a fire did happen I would have a good base line to run on pre-fire. One of the pieces of analysis I would like to be able to do is to quantify vegetation cover or counts of plants per sq meter in a particular area. To do this I would need to be able to perform somewhat complex remote sensing type analysis. There is software out there that can do such analysis but I don’t have it nor the experience to run it, so I figured writing my own software would be a more attainable approach for me. While driving into work a couple weeks ago I listened to a podcast called “Talk Python To Me” the host interviewed a scientist who was using part of the Science Kit modules called SKImage. The scientist was using the software to write algorithms to count cells in an image from a microscope but in a high level overview it’s the same concept as I wanted to do with aerial photographs of the desert. After listening to this it sounded like this would be a possibility for me to start work on my image analysis tool. 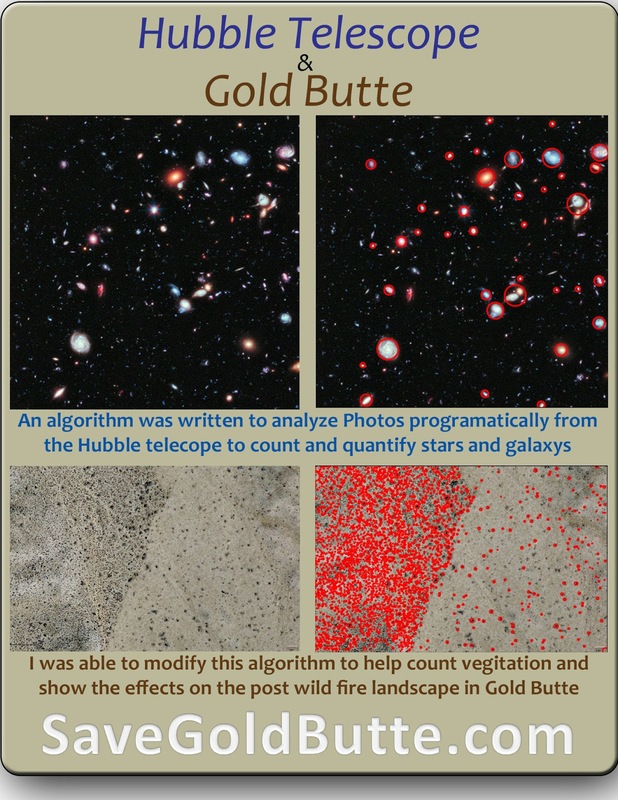 While researching the skimage module I found an algorithm that a team had written to analyze images from the Hubble Telescope. 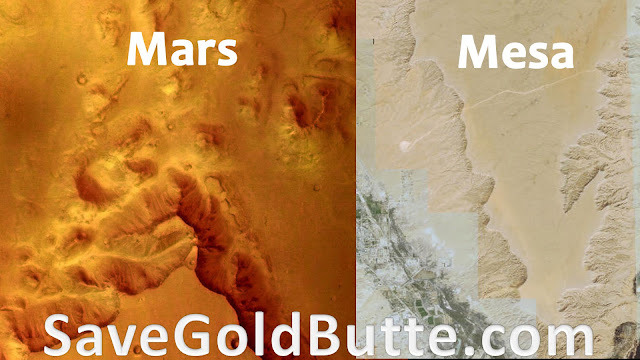 While looking at the images from the Hubble I thought that they didn’t look too different from a desert landscape found in Gold Butte or Mormon Mesa. 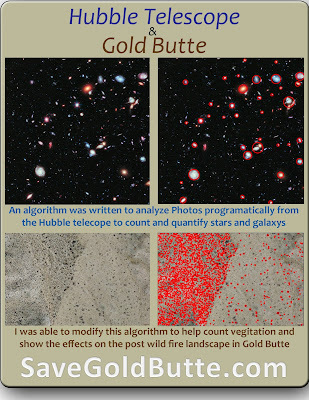 I was able to take that program that they wrote and modify it to analyze aerial photographs of our beautiful desert. I am still trying to hammer out the best variables for the formulas but I have a pretty strong start. So how does this all relate to gold Butte you may be wondering? Well the mesa is not that far from my house so it makes it an easy test ground to run my experiment and it is also adjacent to Gold Butte so once I get the rover running on the Mesa I can then send it out into the wilds of Gold Butte to start collecting data. What kind of data am I going to collect? All kinds of good stuff. Really anything you can think of there are sensors to detect and measure. I will start with weather data and then add in elevation, slope, available light, wind and all kinds of other factors so I can start building a model to more accurately forecast and predict weather patterns on a microclimate level. I would like one day to be able to integrate the camera as well as an infrared camera to start being able to detect vegetation and write a detection and classification program to start classifying and quantifying vegetation and start building GIS data. I also have ideas for a habitat mapper\monitor\data gathers but I am already getting way ahead of myself. I also would like to have the bot be able to explore and map abandoned mines. I have directional sensors, sonar, gas detection and other air quality sensors for this project. In the mean time I am still dreaming things up so I will post my ideas as I make progress.